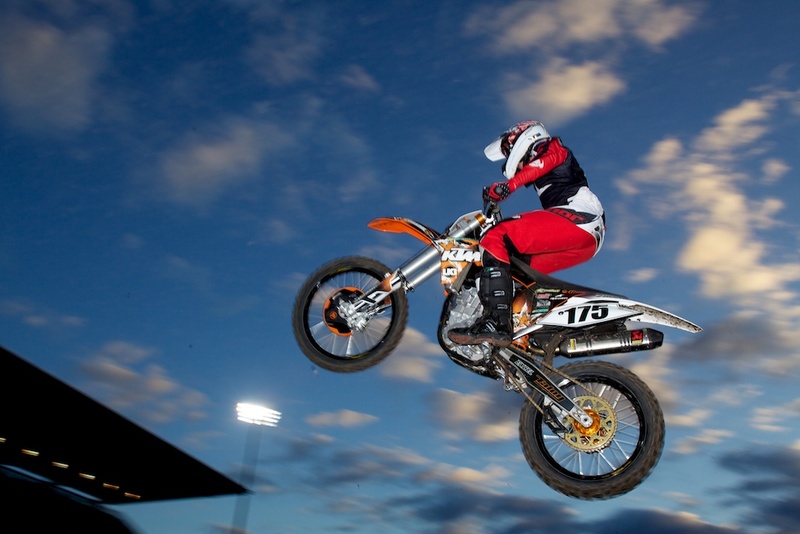 This image was made during evening practice for a night-time Supercross event. Flas has lit the rider, but the sunset s showing in th esky. Maybe I should have used high speed flash sync, to reduce ghosting in the movement of the bike, but i like th eshot anyway. The light pole and edge of the stadium give the picture some scale.